Nokia introduced the Nokia N80, the first ever handset to enable seamless home media networking between compatible TVs, audio systems and PCs. The Nokia N80 reflects and harmonizes work and personal life through leading on-the-go productivity tools, multimedia entertainment and mobile photography in a design that communicates success. Weighing only 134 grams, the compact yet feature-rich 3G multimedia device is packed with performance, providing fast internet access and convenient intuitive browsing as well as the possibility to send and receive emails at Wireless LAN (WLAN) speeds. "A multimedia computer that genuinely enriches people's lives with connected, mobile multimedia experiences, the Nokia N80 is the size of a stack of business cards," said Anssi Vanjoki, Executive Vice President, Multimedia, Nokia. "The technological leadership of Nokia Nseries comes together in the Nokia N80, offering people a new, unparalleled experience of enjoying media in the living room by just using the Nokia N80. Comprising the functionality of a highly advanced multimedia computer, the Nokia N80 empowers people to pursue professional goals and personal passions with equal fervor." Nokia N80 Multimedia connectivity in the Digital Home - With simple to use yet advanced UPnP (Universal Plug and Play) technology, the pioneering Nokia N80 can be used to tap into the digital home network, acting almost as a remote control, enabling secure and convenient access to compatible PCs, audio equipment and TVs. Consequently, images and video stored on the Nokia N80 or a compatible PC can be viewed wirelessly on the living room TV, while listening to music stored on the device through the living room audio system. 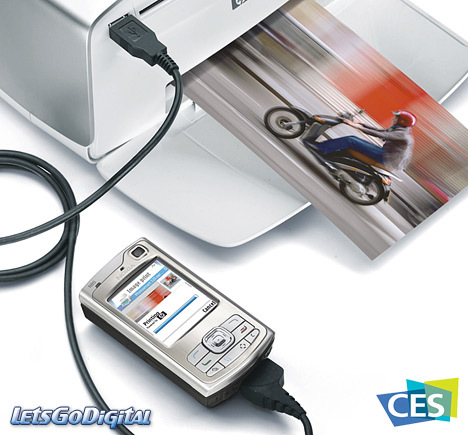 Printing is now faster too, as Nokia N80 can print wirelessly to any compatible UPnP-enabled home printer or printing kiosk. Nokia N80 Internet - Nokia N80 is the first quadband handset designed to work on 3G (WCDMA 1900 or 2100), WLAN, EDGE and four GSM bands (850/900/1800/1900), enabling broadband access from virtually anywhere on the planet. Incorporating the latest productivity functions in addition to 3G and EDGE data connectivity, people can use the Nokia N80 at more than 136,000 public WLAN hotspots around the world to access the internet and send large emails or upload high quality images to an online service. 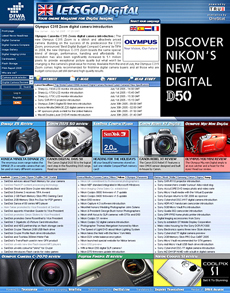 Additionally, the Nokia N80 supports the new Nokia Web Browser with Mini Map, featuring a semi-transparent zoomed-out overall view of the web page, enabling users to intuitively navigate to all corners as well as see the web site as it was originally designed. With the experience further heightened by the device's superior high definition display (352 x 416 pixels, up to 262,144 colors), which incorporates 90% more pixels than QVGA displays commonly found on smartphones and PDAs, the Nokia N80 also incorporates MPEG4 AVC decoding support for high quality video streaming. Nokia N80 High quality photos and videos - With great ergonomics for image capture, the Nokia N80 is also an excellent mobile photography device for capturing, collecting and sharing moments and memories. In addition to incorporating a 3 megapixel camera with capture key for fast and stable camera activation, full-screen landscape capture utilizing the entire available high definition display, and a dedicated close-up mode switch, the Nokia N80 also features CIF video capture with inbuilt video stabilization. Moreover, the Nokia N80 incorporates large internal memory of up to 40 MB, which can be further expanded with a hot swap miniSD card of up to 2 GB, allowing users to store up to 1000 high quality images on the device. Nokia N80 Digital Music Player - Supporting a wide range of digital music formats, the Nokia N80 boasts a digital music player as well as stereo FM radio and support for Visual Radio, which provides listeners with a richly interactive information channel, including information on the song and artist currently playing. 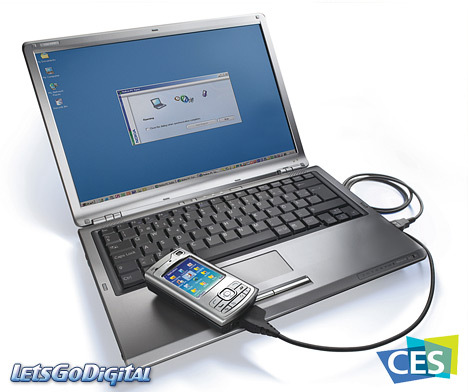 Furthermore, thanks to the integrated UPnP technology, transferring music between the Nokia N80 and a compatible PC is easier than ever. Alternatively, users can transfer their favorite music via USB 2.0 by simply dragging and dropping from a compatible PC onto the device. 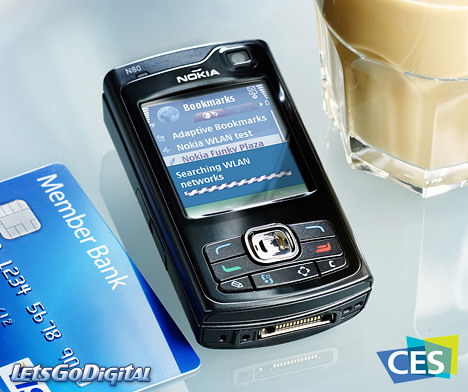 As a result of its powerful music features, the Nokia N80 qualifies as a part of the Nokia XpressMusic device range. The XpressMusic feature brand makes it easy for consumers to identify Nokia products that provide a superior mobile music experience. The Nokia N80, which is based on S60 3rd Edition and Symbian OS, is planned to be commercially available in the first quarter of 2006.